Most of us have dealt with emotional eating at some stage in our lives. You know the feeling – you’re having a hard time with an aspect of your life such as work, family, friends or university and the one thing that seems to make you feel better is digging into your favourite food. And while that can be okay every now and then, when you find yourself eating obscene amounts of food in an effort to feel better every single night, this type of stress eating or overeating can become a problem. And while eating when you’re upset may help you to feel better in the short term, burying your feelings in a packet of potato chips will likely start to affect both your physical and mental health. 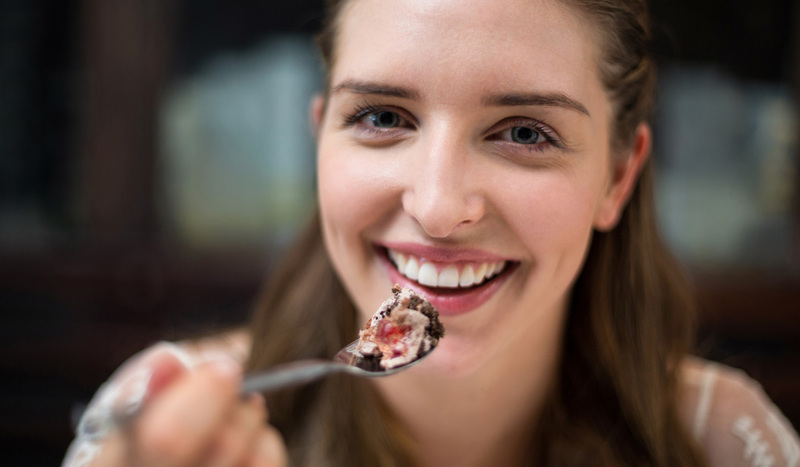 To find out how to repair an unhealthy relationship with food, we spoke to celebrity chef, nutritionist and founder of Falling in Love with Food, Zoe Bingley-Pullin. So if you’re ready to break the emotional eating cycle, read on. But don’t think you’re immune to emotional eating if you only eat healthy food – while most associate emotional eating with gorging on fried foods or chocolate, it’s also possible to binge eat healthy foods and that’s not great for you, either. Remember what your mum said about too much of anything being a bad thing? She was on to something. Developing an emotional eating habit can cause a whole host of problems for us, both mentally and physically. “Mentally we may feel guilt, shame, depressed, anxious, low self-esteem and even a loss of control,” says Zoe. “Physically if we overeat due to emotional eating and choose typical comfort foods such as sugar and fatty foods, we may feel physically ill, lack energy or gain weight.” When we can lead to us feeling even worse about ourselves than we did in the first place! The next time you get the uncontrollable urge to eat certain foods, give yourself a mental once-over. Are you in your feelings while you’re craving that chocolate cake? If so, can you pinpoint what’s really upsetting you? Identifying the cause of your emotional eating will help you to recognise certain emotional triggers and go a long way in breaking the cycle. And if you’re finding yourself eating emotionally because of a diet you’re following, Zoe says it might be time to reconsider. “Dieting is a huge trigger for emotional eating,” she says. “If you’re finding that this is the case, consider ditch dieting for good and focus on building a healthy relationship with food and a healthy lifestyle as opposed to the number on the scale. All the being said, sometimes it’s just not that easy to change something that can be so inextricably linked to our feelings. “If you start to binge eat on a regular basis or fall into a cycle of binge eating and restricting food intake, your emotional eating has become a serious problem,” says Zoe. 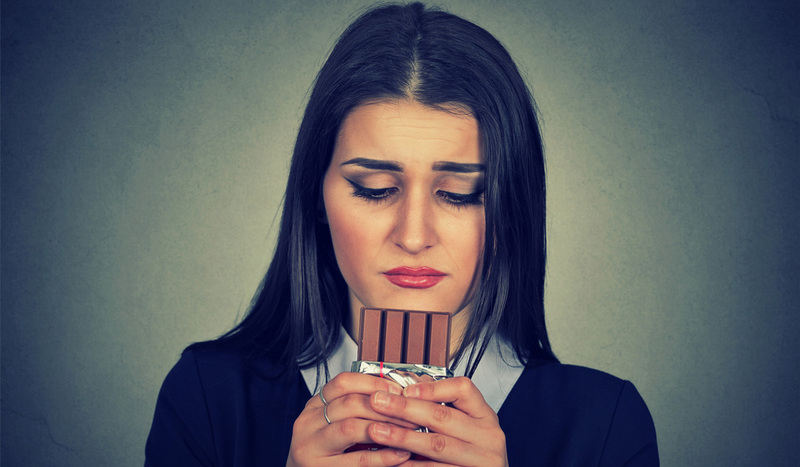 “Furthermore, if emotional eating starts to impact your daily life, whether this is because you feel physically ill, depressed or start to isolate yourself from others, it is time to get help.” In this instance, it’s best to tackle these issues with a trained professional such as your doctor, a dietician or nutritionist or a psychologist. 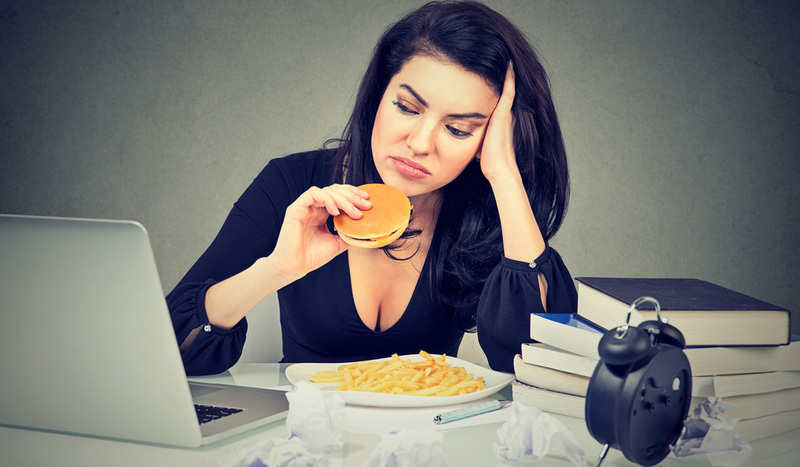 Have you dealt with emotional eating? Definitely an emotional eater here! When you are under stress or dealing with any emotional situations, it is a human tendency that you eat more at such times because you have don't have control over your appetite which results in irregular pangs. Toa void this, you can opt for some weight-loss supplements as these supplements are composed of natural ingredients which helps in suppressing appetite to avoid hunger pangs. Read more about such weight-loss supplements on wellnessdietsolution. I'm an emotional eater as well. Give me sugar......oh how I need to change. These are really great suggestions. I struggle with eating my feelings often. I've reported the previous spam post by Kynazh. I am an emotional eater too. When things don't work as planned it results in me getting upset and the FINAL result eat more junk food. Helpful article, I find I eat when bored so maybe exercise or cooking instead could be a distraction. Exactly, having a distraction has to help. If I am upset, sad or other, I just lose my appetite totally, but if I am happy I will eat and eat and eat!!! I am definitely an emotional eater! I've been going through some bad times both at home and work and for me, food is an outlet. I have started reducing my intake of crappy food (bit by bit). It's been helping a lot, but I have a long way to go. I've also been working on changing my mindset and have more of a positive outlook! I never realised that I was an emotional eater until I lost my dad. 2017 I was a really bad year for me and I have eaten my way to being 30kgs heavier. I just snack all the time now and feel hungry all the time, it has become a very bad cycle for me. I just can't break the bad eating habits but I need to stop asap! I am one of those that losses weight under stress. That is one lucky trait i suppose. chewing gum is always a good helper. I definitely think forging a link between stress & anxiety and food is awful - I use to. But separating it from my emotions has been so much healthier for me! I wish I could like dark chocolate but I just can't get to enjoy it. Milk chocolate is my weakness.